The event is coordinated by Violaine Lemay (President of the 6th Annual IIAPC Conference), Dr. Pavel Hamet (President of the Advisory Committee), and Dr. Johanne Tremblay (President of the Scientific Committee). 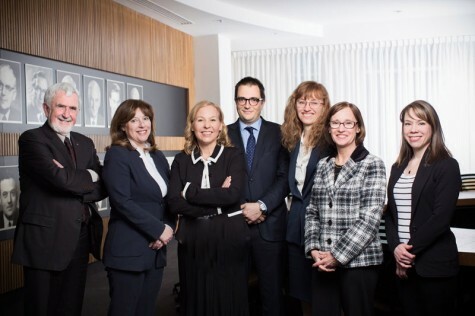 (from left to right) Pavel Hamet, Chair of the Advisory Committee and member of the IIAPC Administrative Committee ; Johanne Tremblay, Chair of the Scientific Committee; Violaine Lemay, Chair of the Conference and Director of the IIAPC, Canadian Division; Benoît Moore, Dean of the Faculty of Law; Chantal Pharand, Dean of the Faculty of Pharmacy; Hélène Boisjoly, Dean of the Faculty of Medicine; Catherine Régis, Member of the Scientific Committee and Canada Research Chair in Collaborative Culture in Health and Law Policy. Should you have any questions concerning the event, please contact us. This content has been updated on 6 April 2016 at 21 h 01 min.